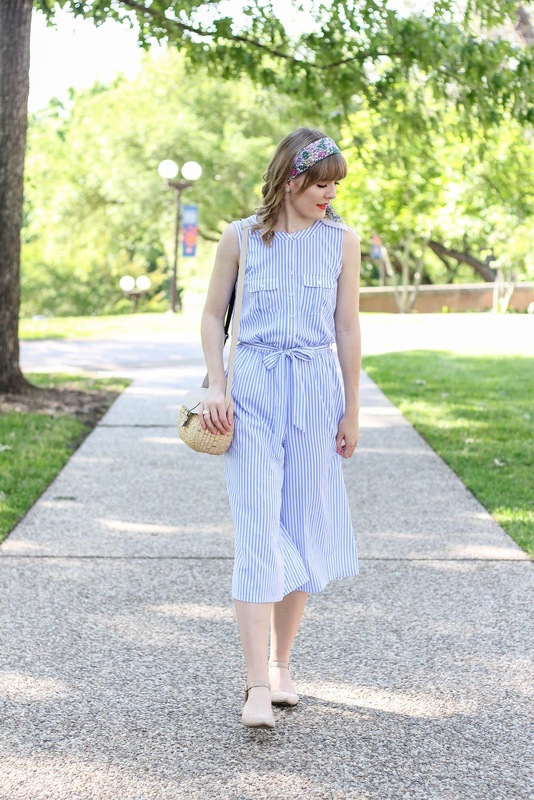 If you follow me on Instagram you have probably seen my stories and posts about my spring style obsession....culotte Jumpsuits! This blue and white striped number is absolutely TO DIE FOR and I couldn't pass it up when I found it. 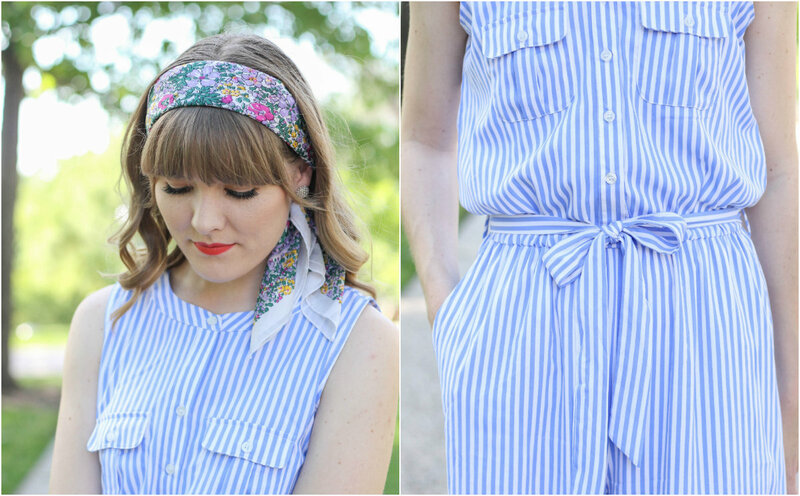 If there is one piece in my wardrobe that's already been worn multiple times this spring, this jumpsuit would be it! 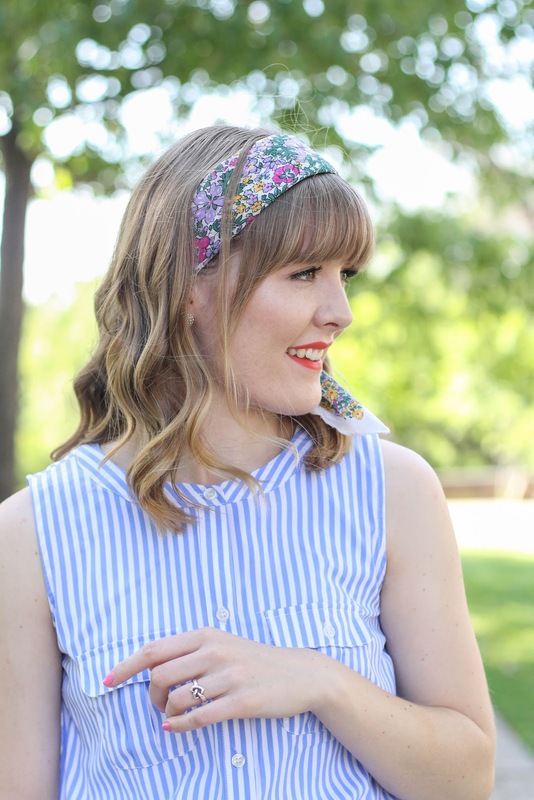 Stripes have always been one of my favorite prints, and the colors in this combo are perfect for this season. The light airy fabric of this style makes you feel like you are wearing pajamas which is always the GREATEST thing ever:) I also love all the details like the front pockets, buttons, and front tie. 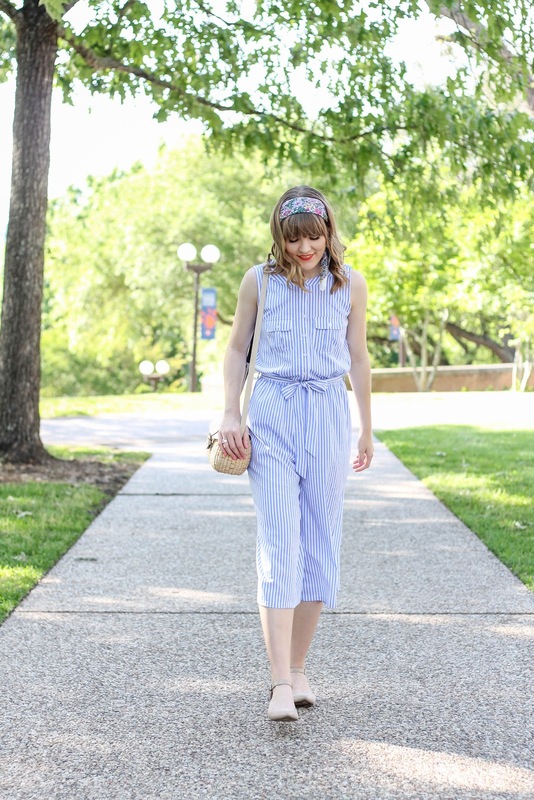 I think the greatest thing about jumpsuits is that they are so versatile in styling. I can easily pair this with clogs and some fun statement pieces or throw on a denim jacket and sneakers to dress it down. 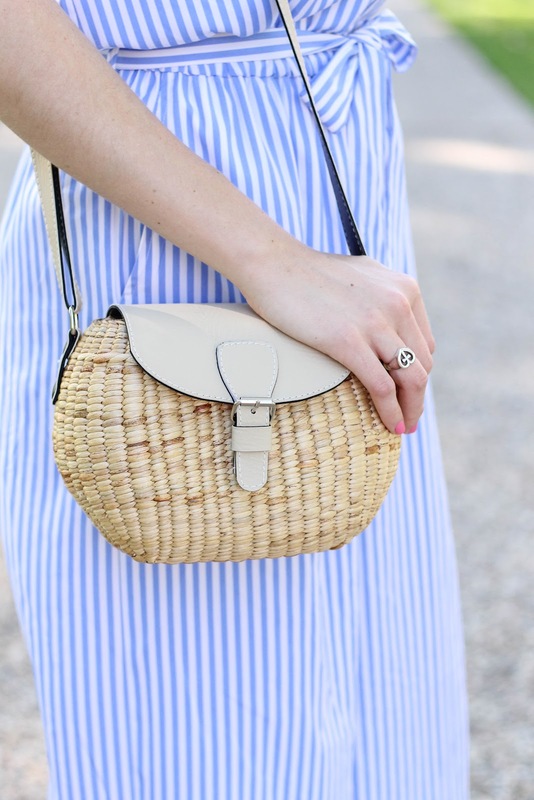 For this look I knew I just had to pull out my new Everly Oak basket purse to pair with the look and opted for my sued flats and a floral head scarf to give it a vintage vibe. 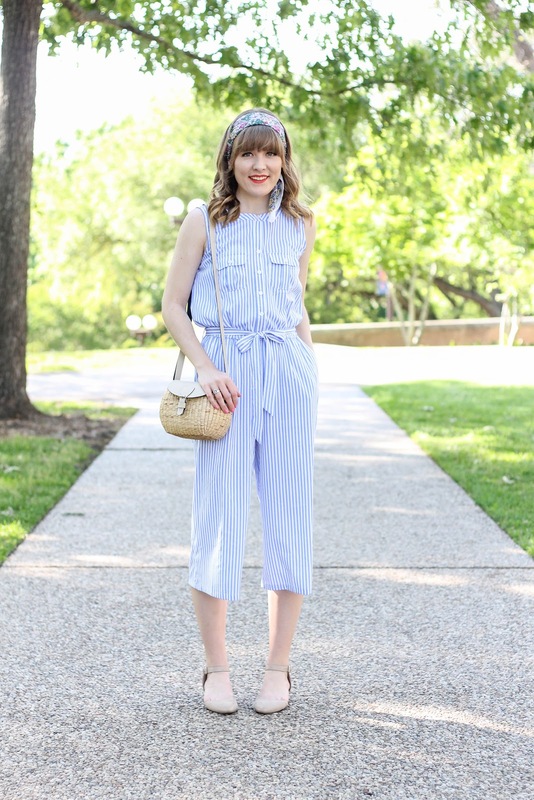 Whatever the case, occasion, or day might be this jumpsuit will be my ultimate go to this spring into summer so expect to see it even more! 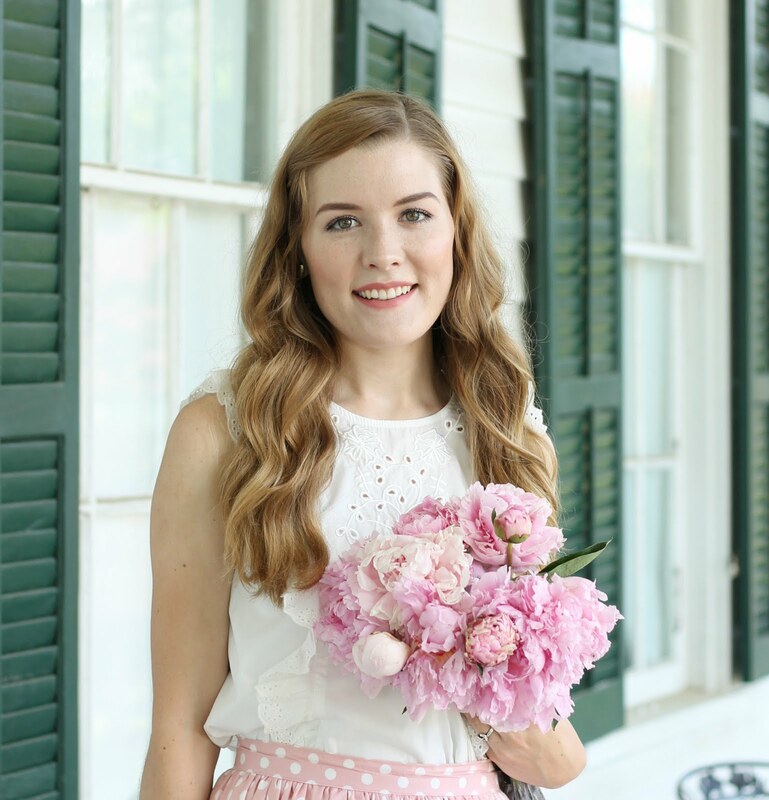 Also....on a side note, I am heading out tomorrow to speak at the 2017 Modest Fashion Guild conference and I am so SUPER EXCITED to meet everyone who will be attending and speak to all the girls about "Styling Outfits For Photo Shoots." Not only will I get to talk to a couple people I have met on Instagram, but I can't wait to visit with girls who love fashion as much as me. 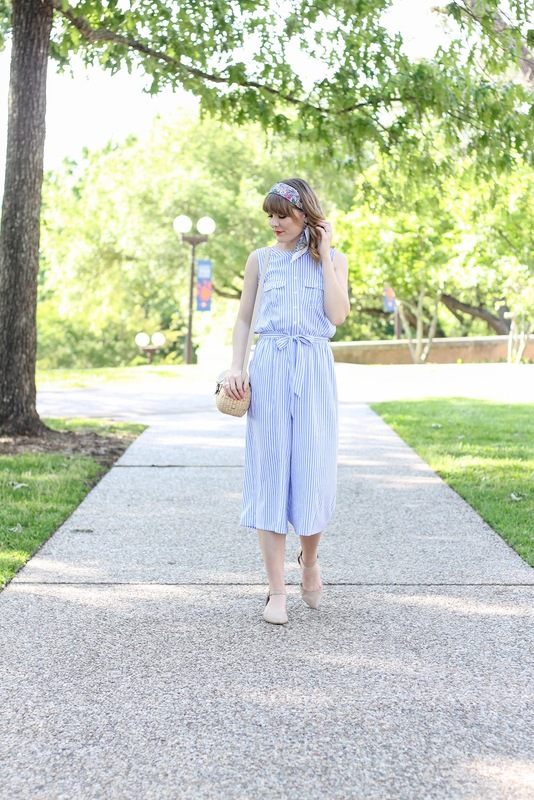 Have you ever tried a Culotte Jumpsuit? Praying for you this weekend. I hope you have fun!